If you want to run this model you will need to download the kmh_lite.hdf5 dust file into the same directory as the script above (disclaimer: do not use this dust file outside of these tutorials!). You will also need the stellar photosphere model from here. 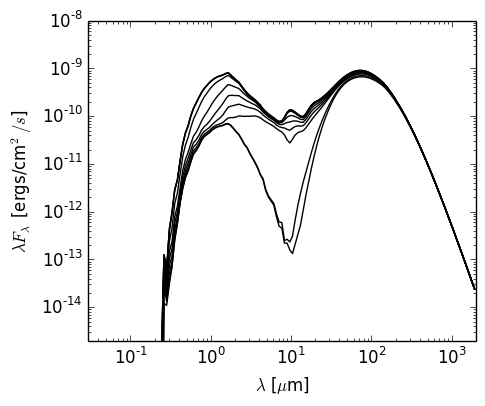 which is almost identical to the bottom left panel of Figure 3a of Whitney et al (2003) (the differences being due to slightly different dust properties).